Drunk driving is an irresponsible and completely unjustifiable act, and countless people are killed or seriously injured on roadways every year. State laws provide recourse for those who have lost a family member who was killed by a drunk driver. If your loved one died because of a drunk driver, you and your family may be left with not only terrible emotional pain but also serious financial burdens. While no amount of compensation can replace what you lost, it can help alleviate the strain of medical bills, funeral expenses, property damage, and the many other ways you have been cost as a victim. Working with an experienced and dedicated team of legal professionals is the best way to ensure that every possible legal avenue is being utilized in the pursuit of justice. If you have lost a loved one because of a drunk driver, call Zinda Law Group at (800) 863-5312 for a free consultation with a skilled wrongful death lawyer. Victims have rights, but it is not easy to successfully claim those rights through a process that is often confusing, intimidating, and understandably difficult to navigate. Working with an experienced legal professional is the single and most important thing that survivors can do to protect their interests and seek justice. It is crucial to understand that someone who is accused of wrongful death due to drunk driving will most likely face criminal as well as civil charges. Criminal proceedings can lead to fines, sanctions, and prison time. Civil proceedings can lead to compensation and punitive damages that many families and loved ones are entitled to receive. Payment for medical bills, lost income, the pain and suffering of the victim along with other damages can be awarded through a civil wrongful death claim. The process can be detail oriented, time consuming and frustrating. The smallest mistake or oversight can seriously jeopardize even the most solid claim. This is why it is so important to choose an attorney or firm that has solid and measurable experience along with a proven track record for successfully litigating claims on behalf of their clients. The defendant or his or her insurance company will most likely have an attorney on their side who is trying to minimize their overall responsibility. They may try and paint the victim as contributing to or causing the accident. They may offer a settlement that is far below what is considered fair and equitable, and they often try and intimidate or scare surviving family members or loved ones from pursuing claims in court. Facing these possibilities is a sad reality of the civil justice system. Anyone without professional and tenacious legal representation runs the risk of being cheated, misled, or overwhelmed by the very process that is designed to protect them. There are many attorneys who would be more than happy to take on a wrongful death case due to drunk driving in order to secure a quick settlement that may or may not be in the best interests of the survivors. It is essential that victims choose an attorney who will relentlessly work on their behalf and remain focused on their needs throughout the entire process. A good attorney will be attentive, experienced, and willing to dedicate the necessary time and resources in order to give their clients every possible advantage. You and your family have rights if you have suffered a tragic loss as the result the negligence of a drunk driver. Choosing the right attorney is essential, and you should carefully evaluate their approach and level of engagement before entrusting them to represent you and your family. 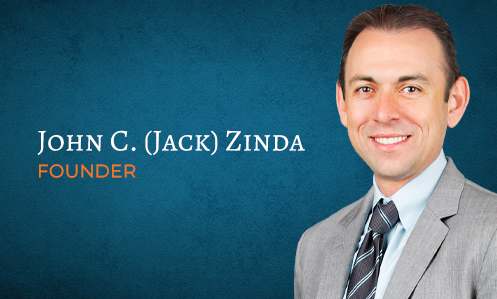 At Zinda Law Group, our drunk driving accident lawyers have the knowledge and resources to help you build the strongest case possible. We will fight tirelessly to protect the rights of you and your family and to help you pursue maximum compensation for damages, including medical bills, funeral expenses, property damage, loss of income and benefits, pain and suffering, and much more. If your loved one was killed by a drunk driver, call Zinda Law Group at (800) 863-5312 for a free consultation with one of our experienced and compassionate wrongful death lawyers. Meetings with attorneys available by appointment only.